Why do some of the Dr. Hauschka Skin Care products contain alcohol? A water/alcohol mixture is used as extraction medium for many of the herbs used in skin care. Alcohol is therefore contained in many Dr. Hauschka products too. It also helps us to dispense with synthetic, chemical preservatives. Can the alcohol in the Dr. Hauschka skin care products dry out the skin? An aqueous alcoholic mixture is used as an extraction medium for many of the herbs used for skin care. Alcohol is therefore contained in many Dr. Hauschka products too. It is increasingly claimed that the drying effects of alcohol make it unsuitable for sensitive and dry skin. However, these statements largely have a historical basis. In the past, high-proof facial toners and tonics were used to cleanse the skin thoroughly by means of application on a cotton wool ball. When used in this manner, some of the skin’s natural oils are removed by the alcohol contained. This weakens the skin barriers and can dry out the skin. Dr. Hauschka Facial Toner is not used to cleanse/wipe the skin but is instead directly spritzed onto the face and only lightly dabbed in. The alcohol contained can therefore have the desired toning effect and then simply evaporate as a result of body heat without removing oils from the skin. Even the alcohol in Dr. Hauschka Day Creams does not dry out the skin. Here, it is embedded in an overall formulation made up of multiple nurturing and moisturising ingredients and is a tried-and-tested cosmetic ingredient in the concentrations used. Why do you occasionally modify Dr. Hauschka product recipes? Dr. Hauschka cosmetics are all made using carefully-crafted recipes that have often been successfully used for years. This means that some products have remained almost unchanged for decades. At the same time however, our understanding of the skin and natural substances is constantly developing and we do not want to rule out using new, interesting ingredients. On the other hand, raw materials that already exist on the market can sometimes change and no longer meet our high quality requirements. We also have to respond to changes to the legal requirements relating to cosmetic products. As a result, slight modifications are occasionally made to a product’s recipe and declaration of contents/INCI. Changes to recipes at Dr. Hauschka are always used to maintain or further optimise their existing quality. The ingredients have never and will never be changed for cost reasons. Any changes to the recipe are always evident in the INCI declaration on the packaging. What is the pH value of Dr. Hauschka skin care products? Dr. Hauschka skin care products have slightly acidic to neutral pH values. The formulations are designed to support and maintain the physiological skin barriers. Products for oil-free night-time skin care (Conditioners) and the Dr. Hauschka Intensive Treatments, on the other hand, are slightly alkaline so as to support the skin’s overnight excretory processes. 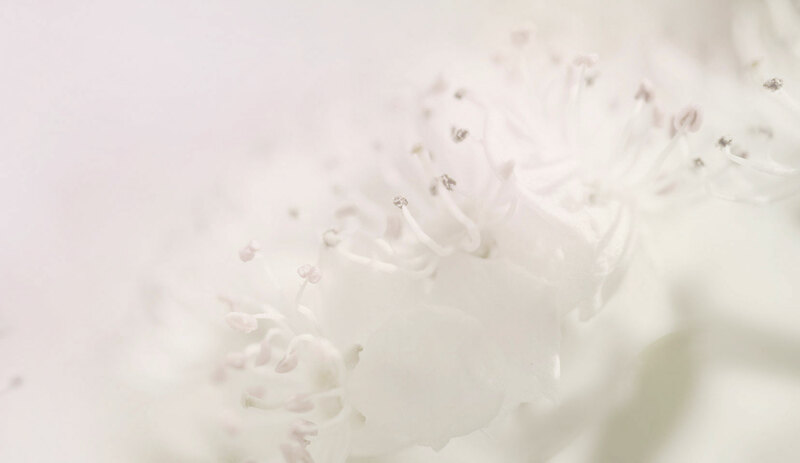 How is the fragrance of the Dr. Hauschka products created? The products’ fragrances are solely created using compositions of natural essential oils. These are often made up of several hundred naturally combined components and give each product a characteristic, complex fragrance. The individual essential oils used are not usually stated on the Dr. Hauschka products, because knowledge of the mixtures we have developed is particularly valuable and worthy of protection. The fact that products are fragranced can be seen from the legally required collective term ‘Parfum’ in the ingredients list. As the same term ‘Parfum’ can also be used for synthetic fragrances, we would like to emphasise once more that Dr. Hauschka Skin Care products do not use any synthetic fragrances, only natural components. Why are individual fragrances sometimes listed on Dr. Hauschka products? Dr. Hauschka Skin Care products also has to be stated. Does Dr. Hauschka use palm oil in its products? Palm oil itself plays a minor role in the manufacture of Dr. Hauschka Skin Care products and is solely used in the Coversticks 01-03. As we are fully aware of the ecological and social problems associated with some plantations in Indonesia and Malaysia, we have made the conscious decision not to procure palm oil from South-East Asia. We instead use organic palm oil from South America, produced in compliance with strict specifications on green production and taking into consideration various environmental protection aspects. If, as in this case, palm oil is produced in an environmentally friendly manner, we do not see any reason not to use this valuable raw material. If you have any further questions about palm oil, please do not hesitate to contact us directly. Where does the glycerine in the Dr. Hauschka Skin Care products come from? In producing Dr. Hauschka Skin Care products, we solely use glycerine obtained from organic coconut oil.In the low concentrations in which it is found in Dr. Hauschka Skin Care products, glycerine is tolerated well by the skin and is an ingredient that we greatly value for its moisture-retaining properties. Where do the mineral raw materials for Dr. Hauschka cosmetics come from? More than 80 percent of the total of 22 tons of mineral raw materials we use in Dr. Hauschka cosmetics are extracted from the EU and the USA. The remaining 20 percent (around 4 tons) of minerals come from the third world and emerging countries. Do fair trade standards apply to the extraction of mineral raw materials? Fair trade standards mean fair working conditions and no child labour. The fair trade standards are not applicable in the EU and the USA, as high standards are already enshrined in law there. Where minerals come from the third world and emerging countries, we demand the relevant certificates, and we have these for many raw materials, including mica. Where we use raw materials in very small quantities, we cannot buy them directly from the supplier on site, we can only purchase them via traders on the global market. Here, too, we always ask for fair trade certificates. However hard we try, traceability is unfortunately not always straightforward. What is the RDA value (abrasivity) of Dr. Hauschka Med Toothpastes? The Dr. Hauschka Med Toothpastes have been developed for different user groups. The Dr. Hauschka Med Fortifying Mint Toothpaste, with an RDA value of approx. 80, is designed for the everyday care of normal teeth. The Dr. Hauschka Med Sensitive Saltwater Toothpaste is suitable for particularly sensitive teeth and gums. Thanks to its natural abrasives and low RDA value of approx. 40, this cleans the teeth thoroughly but gently. Do Dr. Hauschka Day Creams contain special UV protection? Most facial care products that offer UV protection contain several chemical light protection filters, which cannot be used in certified natural cosmetics. As a result, Dr. Hauschka Day Creams do not contain any light protection filters. In summer, using sunscreen can play an important part in protecting the skin. Whether or not daily UV protection is required depends on several factors. These include, for example, individual lifestyle (amount of time spent in the sun), location (e.g. altitude), skin sensitivity and age, to name but a few. Many people spend much of the day indoors. They only need to use sunscreen when they spend longer periods outdoors in intense sunlight. In such cases, sunscreen should be used with a protection level tailored to the situation. A day cream with a standard UV protection level cannot fulfil these kinds of individual requirements. Do Dr. Hauschka deodorants contain soluble aluminium salts? Soluble aluminium salts are used in conventional antiperspirants because they constrict the pores and therefore reduce perspiration. We do not use any aluminium salts in Dr. Hauschka Roll-On Deodorants because we do not want to suppress the natural process of perspiring but only to prevent unpleasant odours. Do Dr. Hauschka skin care products contain microplastics? As a manufacturer of certified natural cosmetics, we neither use solid microplastics nor liquid plastics as ingredients in our Dr. Hauschka Skin Care products. In conventional cosmetics, solid microbeads (e.g. made of polyethylene) are for example used as abrasives in toothpaste or skin peeling. Liquid components (e.g. acrylates polymers) can often be found in make-up products (e.g. mascara) to improve the rheology of the products. For the Dr. Hauschka Med Toothpastes we use kaolin (white clay) and silica as mineral abrasives, as well as natural waxes and oils for the make-up products instead. What proportion of the raw materials used by Dr. Hauschka are organic? We use sustainable raw materials, water and minerals for Dr. Hauschka products. Water and minerals are natural products, but, unlike plants cannot be certified as grown in a controlled organic environment. We constantly strive to increase the proportion of organic sustainable raw materials. The proportion of sustainable raw materials which are cultivated under dynamic or controlled organic conditions is currently more than 80 percent. 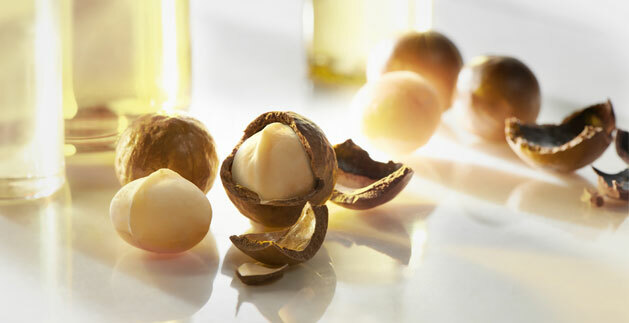 What is the proportion of certified tropical raw materials in Dr. Hauschka cosmetics? 96 percent of our tropical raw materials, such as palm oil, cocoa butter, coconut oil and carnauba wax, come from certified sources or WALA's own organic cultivation projects where we can absolutely guarantee fair trade standards. Fair trade standards mean fair working conditions and no child labour. 100% of the aforementioned 96% of tropical raw materials are sourced from controlled organic cultivation. Furthermore, 66% are certified by the international environmental protection organisation Rainforest Alliance, 22% are Fairtrade-certified and 8% come from a close, long-standing WALA partner. We generally re-check the good and fair working conditions offered by this partner once a year by conducting on-site visits. The only products with components that contain gluten are Dr. Hauschka Soothing Cleansing Milk and Nourishing Hair Conditioner. In the cases of wheat germ oil and wheat bran extract, however, all potentially allergenic protein compounds are almost entirely removed by the oil purification process and the preparation of the extract. We are therefore permitted to label Dr. Hauschka Skin Care products that contain these ingredients as gluten free (in accordance with Commission Regulation (EC) No 828/2014). Do Dr. Hauschka skin care products contain parabens? Dr. Hauschka has always deliberately refrained from using synthetic preservatives such as parabens and phenoxyethanol. All cosmetics manufacturers must ensure that their products are protected against microbial contamination and thus safe to use. The easiest way to achieve this is by adding preservatives. In the EU, a list of permitted preservatives is stipulated in the EC Regulation on cosmetic products. Typical and commonly used preservatives include parabens and phenoxyethanol. These synthetically produced substances have powerful antibacterial and antifungal properties but are also the source of much debate. For NATRUE-certified natural cosmetic products, like those of Dr. Hauschka, only a few naturally occurring preservatives are allowed – including benzoic acid and sorbic acid. The use of parabens or phenoxyethanol is not permitted. Most preservatives are well tolerated by the skin. However, any substance that kills microorganisms while products are in their packaging can also impact the skin’s natural, useful microflora. Dr. Hauschka therefore deliberately refrains from using either synthetic preservatives like parabens and phenoxyethanol or the preservatives permitted by NATRUE. This will remain the case in the future. Despite the above, due to new legal regulations in the field of cosmetics advertising, the statement “paraben-free” will no longer be allowed on packaging and advertising material. In accordance, we are gradually removing this notice from our brochures and advertising media.